Ambassador Hotel lobby located in The Cedars district of Dallas. Jim Lake Jr.'s company makes money bringing new life to old buildings. If the neighborhood is a bit sketchy or the buildings are boarded-up, you just might find Dallas developer Jim Lake Jr. poking around. Redevelopment projects undertaken by the husband-and-wife team of Jim Lake and Amanda Moreno include the Ambassador Hotel. It was two years ago when Lake and his wife, Amanda Moreno, first set foot inside the former Ambassador Hotel south of downtown Dallas. The visit came at the insistence of Lake’s son, Scott, a land broker who’d seen potential in the old structure, which was built in 1904 as the city’s first suburban luxury hotel. “I was completing the Jefferson Tower project, so it was really hard to get my attention,” admits Lake, a hands-on sort who prefers to handle just one “adaptive urban redevelopment” project at a time. 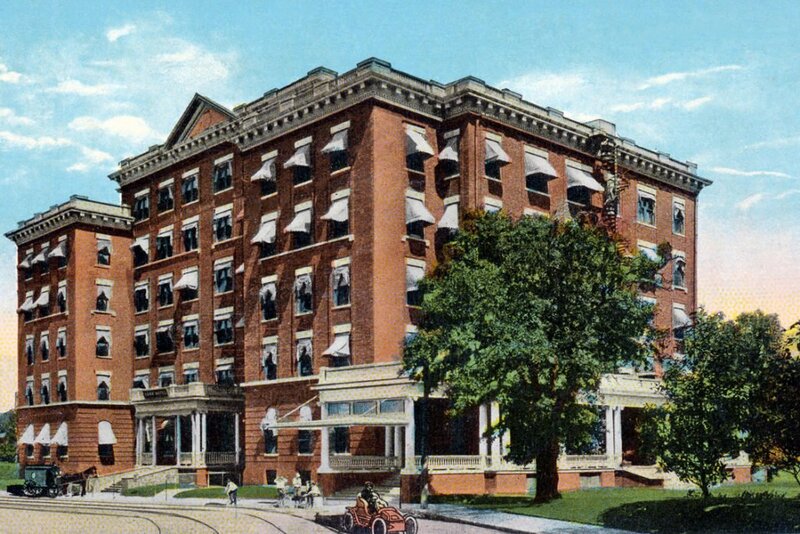 The tour made an impression, however, and, about a year after seeing the historic six-story hotel, the couple purchased the building with its grand hallways, crystal chandeliers, and expansive acreage where several presidents, including Teddy Roosevelt, rested for the night. Now Lake’s company plans to redevelop the landmark property into micro apartments with a restaurant and retail on the first floor, a “speakeasy” and co-working space in the basement, and a rooftop bar. If feasible, it would even like to reopen the ancient tunnel that served as a quick getaway to a neighboring business if, and when, police raided the speakeasy during Prohibition days. And, they’re in initial talking stages with the city of Dallas about connecting the property to an adjacent city park. The hotel is located in The Cedars, an up-and-coming area south of downtown Dallas that once was home to some of the city’s wealthiest residents, but eventually fell into neglect. Although still beleaguered with homeless encampments, litter, and old industrial buildings, The Cedars has a growing hip vibe. The vibe derived mainly from a burgeoning artist community that embraced the area via a redevelopment effort initiated in the late 1990s by Matthews Southwest via its Southside on Lamar project—the first of a variety of urban renewal projects that have revitalized the area since. 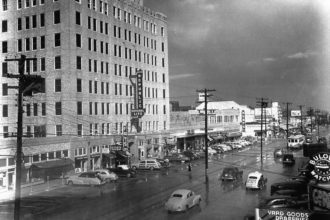 In the early 1900s, the Ambassador Hotel property was known as the Park Hotel. 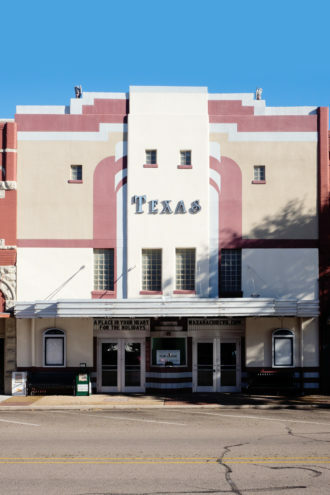 Redeveloping and preserving historic buildings has become a love affair for Lake, whose dossier has expanded with a series of successful and high-profile projects, from Bishop Arts and the Design District to north Oak Cliff and Waxahachie. Lake is CEO and partner at Dallas-based Jim Lake Cos., whose annual revenue is typically around $13 million. Lake also has a growing list of new projects besides the Ambassador: one dubbed the Mayor’s House, a Mexican Mercado, and an 11-building downtown redevelopment in Ennis. It’s a measure of Lake’s success that he and Moreno say they have no current plans to expand their urban renewal work outside of North Texas, despite calls from other communities trying to entice them. “We like to play Monopoly in our own backyard,” she quips. We went through lots of ups and downs that helped us understand what we can do in edge areas like The Cedars and in the small towns that rim Dallas, such as Waxahachie. 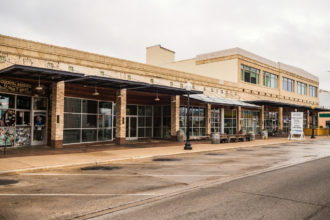 Jim Lake, Jim Lake Cos.
Moreno, who began her real estate career as a property owner in Bishop Arts, has partnered with Lake on several adaptive reuse projects, including the redevelopment of downtown Waxahachie. This year, she will lead the redevelopment effort in downtown Ennis, while Lake oversees the Ambassador project. Timeline: Purchased in 2015 for $3.5 million, scheduled to begin construction in late 2017. Dollar value of investment: As much as $20 million. Project: Adaptive reuse of historic buildings. Location: Northwest of downtown Dallas. Size: 9-story office tower plus two two-story buildings. Project: Fifteen live/work loft apartments, office and retail. Timeline: Purchased in 2013 for $4.3 million. Spent three years on the redevelopment. Project: Redevelop historical buildings, lease to restaurants and retailers. Dollar value of investment: City granted a $450,000 forgivable loan to purchase the buildings. Project: Redevelop a series of historic downtown buildings into mixed-use loft and retail. Timeline: Multi-year project to begin this year. Last fall, Moreno bought a historic, 1885 Queen Anne house near downtown Waxahachie, known as the Strickland-Sawyer House, with plans to convert it into a bed-and-breakfast. The couple also own what they call the Mayor’s House at 635 North Zang Blvd. in Dallas. The expansive home was the former residence of George Sargeant, who served as the Dallas mayor from 1935-36. Lake bought the home and its contents from Sargeant’s caretaker back in 2011. Plans are to develop a restaurant at the site, but the project has been stalled in the city’s permitting department for a year. The contents were a treasure-trove of Dallas memorabilia from Sargeant’s days as mayor, including a hand-signed letter from President Franklin D. Roosevelt and photos from the Texas Centennial, which Sargeant helped promote. Lake and Moreno hope to begin redevelopment sometime this year and include the memorabilia in the interior design. Lake learned his urban-development skills from his father, Jim Lake Sr., who founded Jim Lake Cos. and built more than 2 million square feet of office and warehouse buildings in and around Dallas before his retirement in 1999. Projects by Lake Sr., who died in 2003, included the 1976 purchase of vacant land in the Trinity Industrial District, where he developed Trinity Market Center the following year. The market center—131,000 square feet of warehouse and office space along Manufacturing Street, where he located his original office—still is used by Jim Lake Cos. The younger Lake was in high school at the time and helped out at the construction site. The son soaked up information as his father and his father’s business partner, Mike Morgan, snapped up storefronts in north Oak Cliff in the mid 1980s. 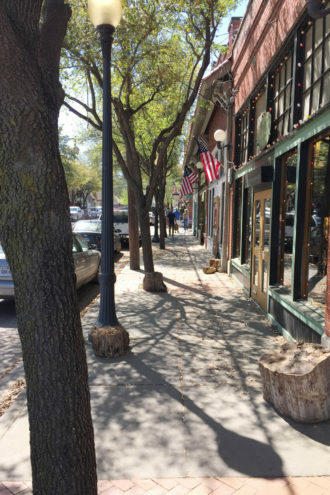 They dubbed the area the Bishop Arts District, due to a handful of artists who were storing their canvasses in some of the old storefronts at the time. Morgan, still a partner with Jim Lake Cos., no longer has an ownership interest in Bishop Arts. Today, Jim Lake Cos. controls about 77,000 square feet in the popular retail and restaurant district and works to provide an eclectic mix of shops and restaurants. It is among Jim Lake Cos.’s best known and most admired urban renewal projects. Jim Lake Cos. redevelopment projects include 77,000 square feet of retail/restaurant buildings in Dallas’ Bishop Arts District. In the early 1990s, Lake turned to the Design District, a warehouse district just northwest of downtown where his father first developed the market center some 20 years earlier. Lake began buying up property on the cheap back then, and as a result Jim Lake Cos. owns more than 500,000 square feet in the district—at one time controlling nearly 900,000 square feet there. After Jim Lake Cos. spearheaded an effort to rezone parts of the district in 2002 to allow residential uses, Lake developed Trinity Loft, the first loft apartments in the district. Other developers have followed suit. The once-gritty industrial enclave—a longtime hub for luxury interior design showrooms catering to the city’s wealthy—has morphed over the past decade into an urban oasis that includes upscale loft apartments, high-end restaurants, hip bars, chic retail stores, and avant-garde art galleries, all mixed in with existing warehouse buildings that give the area a somewhat rustic undertone. Lake went back to north Oak Cliff, about five blocks south of Bishop Arts, four years ago to develop Jefferson Tower. The nine-story tower (plus two-story buildings on both sides) fill a full city block and formed the catalyst for urban renewal along the boulevard that’s continuing today as part of Dallas Mayor Mike Rawlings’ GrowSouth initiative. The city provided bond money for street and sidewalk improvements in the area. Lake used Bishop Arts and the Design District as guides in developing Jefferson Tower, tapping design and redevelopment concepts that worked well in those projects, including floor plans used at the Design District’s Trinity Loft. Jefferson Tower, which consists of a nine-story tower (at left in historic photo) flanked by a pair of two-story buildings (right), was redeveloped by the Jim Lakes Cos. The project in north Oak Cliff includes office and retail space as well as lofts to encourage pedestrian traffic. “We just provided a template with a good, updated product that encouraged people to come and open their businesses along Jefferson Boulevard,” he says. Several existing businesses on the block that Lake purchased were asked to stay, including a jeweler, a barber, and Gonzalez Restaurant. The Jefferson Tower project includes the street’s first lofts to encourage more pedestrian traffic along the boulevard. Lake hopes by summer to realize his plans for a Mexican-style mercado on the bottom floor of one of the two-story buildings. It’s expected to feature a mix of food, clothing, and artifacts from different parts of Mexico and provide weekend music opened up to the street. Texas Theater in downtown Waxahachie. The Lake-Moreno partnership included restoration of the Rogers Hotel, built in 1912 on the northeast corner of the square. The former hotel now houses two restaurants and other retail and businesses. The partnership also redeveloped the entire city block of buildings along the south side of the courthouse square, as well as a building situated at the square’s southwest corner. There are still a few vacant buildings downtown, and Stevens says he hopes the Lake-Moreno redevelopment will spur additional urban renewal by others. Lake-Moreno also own a vacant theater on the north side of the square, a potentially challenging and expensive redevelopment project because the decaying building will require extensive renovations to make it code compliant. It also will need to be reconfigured inside to add dressing rooms for live productions. Some sort of private-public partnership will likely be needed to make renovation a reality, Moreno says. We were so appreciative to have someone come in and understand how difficult it is to renovate old buildings and to not be afraid of that. That was really important to us. Moreno is now in the initial stages of redeveloping 11 buildings, or about 70,000 square feet, that Lake-Moreno LLC purchased in Ennis’s downtown about three years ago. Last year, the city of Ennis approved a $7.5 million infrastructure improvement project downtown that it hopes to complete by the end of 2018, which will help the project along. Moreno-Lake plan to redevelop several downtown historic buildings with lofts on the upper levels and retail below. Meantime, Lake and Moreno say they plan to continue urban-renewal projects in and around Dallas as things capture their fancy. “I have what they call a photographer’s eye,” explains Lake, who says he’s as much a right-brain creative as a left-brain analyst. “I love photography and can frame and compose photos in a certain way, and I can do that with buildings. I can visualize what they would look like” redeveloped. What he yearns for, he says, is an impact that will last and be enjoyed for generations. “We are not just a real estate company,” he says. “We are from Dallas and want to make Dallas a better place … We are developing a brand to develop historically important properties for Dallas that we will not sell, so that future generations can continue to enjoy them.